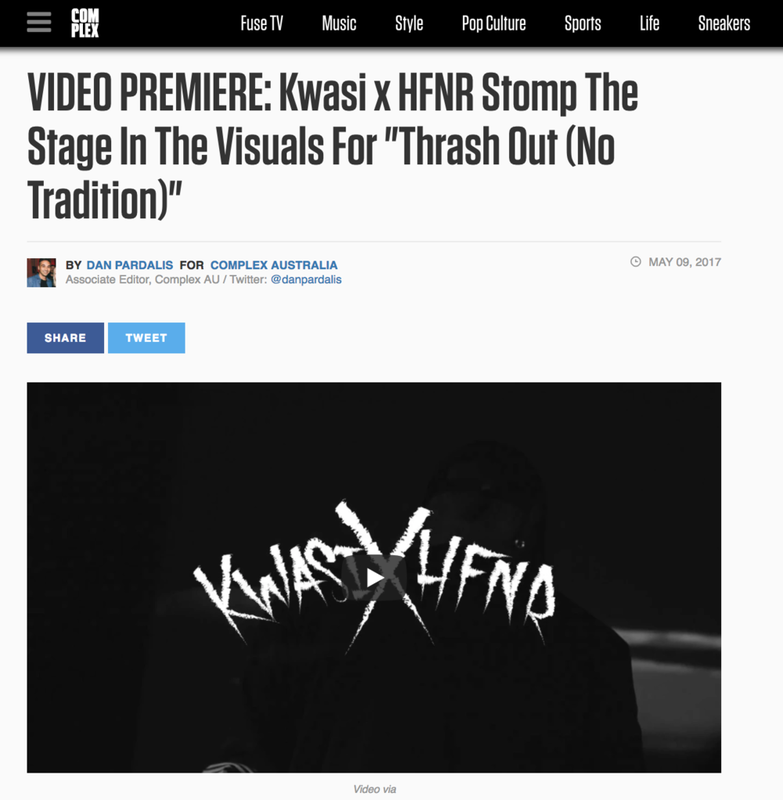 Newly signed to the rapid-growing community of hip-hop and RnB artists on the WVS label, Melbourne boys Kwasi & HFNR are transcending barriers with their signature thrash energy. Their debut single, Thrash Out (No Tradition) to be released Thursday April 13 will be accompanied by a Complex video premiere of their performance at WVS presented event, Big Swell. With highlights of the duo’s revolutionary live show encapsulating a mix of dark and moody tones presented with energetic flavour, Kwasi & HFNR symbolise a much needed change in Australia’s music culture. Complementing each other on stage with their contrasting personalities and musical diversities, HFNR with his effortless curation of music and Kwasi with his hi-energy in your face antics, the duo have been collaborating closely to develop their creative vision since 2015.